Experience the full day and half day Cape Winelands tour which includes a scenic and historic drive through the world-renowned Cape Winelands. A 45-minute drive from Cape Town takes you to the scenic Cape Winelands - the largest wine producing region in South Africa. Set amidst majestic mountains and lush vineyards, the Cape Winelands is a highlight on your tour to Cape Town. These wine regions produce some of the finest wines in the world ranging from whites and reds to sherries, ports and brandies. Steeped in culture and history, the Cape Winelands is surrounded by quaint towns and villages with many Cape Dutch homesteads, monuments and museums that pay homage to the proud Cape history. 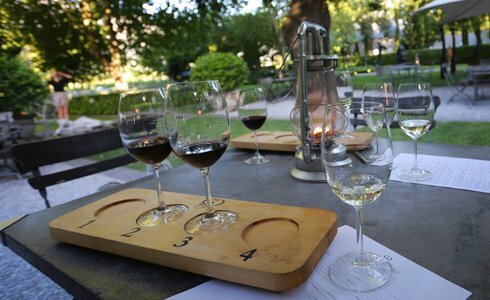 Experience the beauty and hospitality with the full day and half day WineTours Cape Town, which include a scenic and historic drive through the Winelands and wine tasting at local farms in Paarl, Stellenbosch and Franschhoek. Please note: The tour detailed above is on a scheduled departure. Should you prefer, we can arrange this tour on a private departure with your personal guide visiting our recommended vineyards, or we will assist you on a self-drive basis. 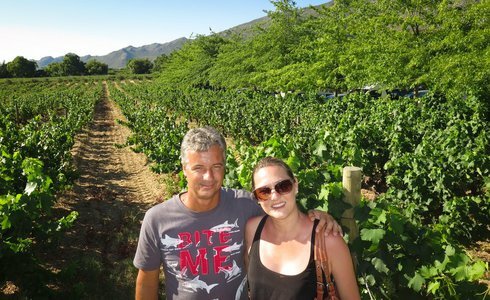 The half day Wine Tour in Cape Town includes the same attractions except the stop-off times are much shorter and only one wine tasting is included.